Inspired Heights Steeplejacks | Restoring churches for the glory of God! 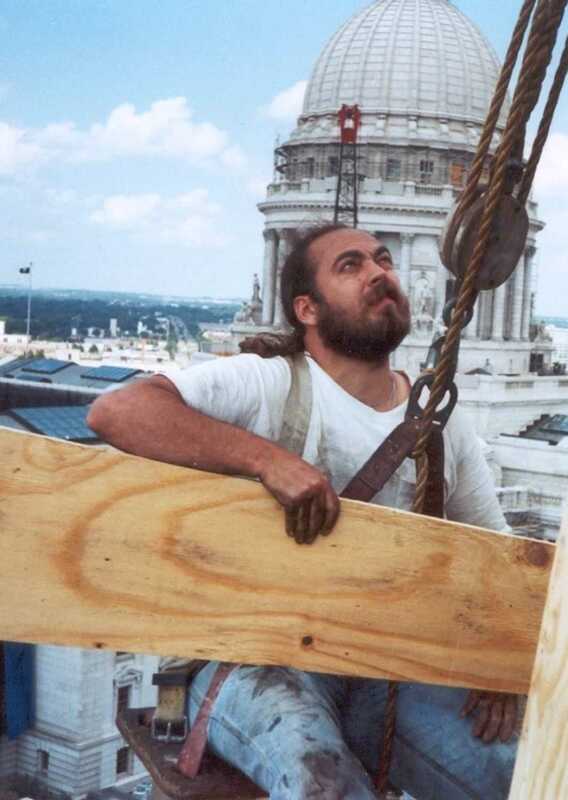 My name is Tony Stratton and I am the president of Inspired Heights and a third generation steeplejack. Following the traditions and craftsmanship of our forefathers my team and I are dedicated to the preservation of churches and their steeples. The diversified team of artisans from Inspired heights can skillfully perform your interior and exterior church renovations and repairs. Our trained steeplejacks provide an affordable, less intrusive, solution to the high work often associated with church repairs. This specialized steeplejack training also allows the workers of Inspired Heights to access what may be inaccessible to most other tradesmen for an up close and hands on church repair. If your church is looking for a company that specializes in church maintenance, repair and restoration then you are likely looking for the church repair experts of Inspired Heights. We're a steeplejack company that specializes in church renovations and steeple repairs. Inspired Heights recently relocated from Rockford and is now located in Rochelle, IL near the cities of Chicago and Milwaukee. However, we provide our steeple and church repair services nationwide. So if you need steeple repairs or church renovations in our local areas of Rockford, Chicago and Milwaukee give us a call. Looking for church renovations outside of the Chicago and Milwaukee area then we're still the church restoration contractor for you... nationwide steeple repair, church restoration and church renovations. Restoring churches for the glory of God - it's what we do!